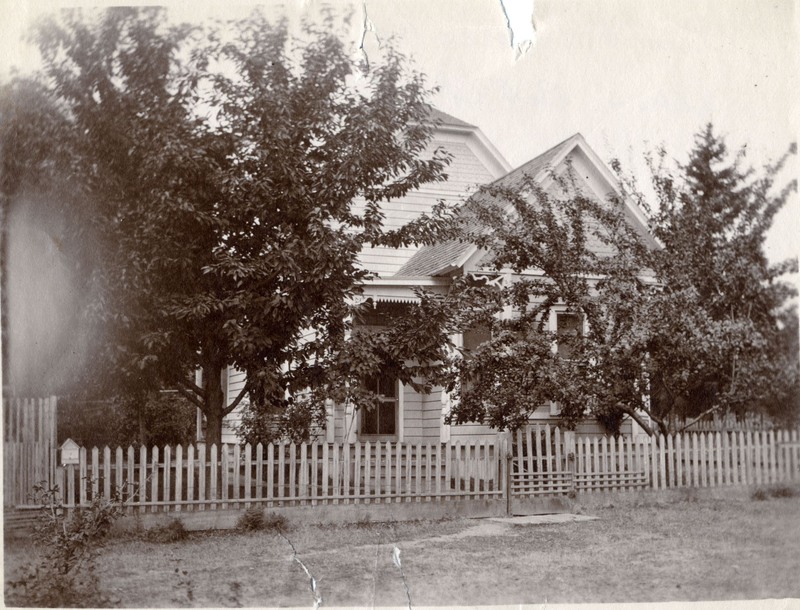 Aunt Anne's home (Russell) 5th, bet. A & B. Description Overexposed on left and notch missing at top. Same as 1071a and other photos of house are 70, 235, & 722. Transcription Aunt Anne's home (Russell) 5th, bet. A & B. Physical Description H 3.75"" x W 4.75""